Treat yourself to twice the comfort. Twice the style. With my Dakota. My Dakota Sofa & 2 Accent Chairs have a personality of their own! 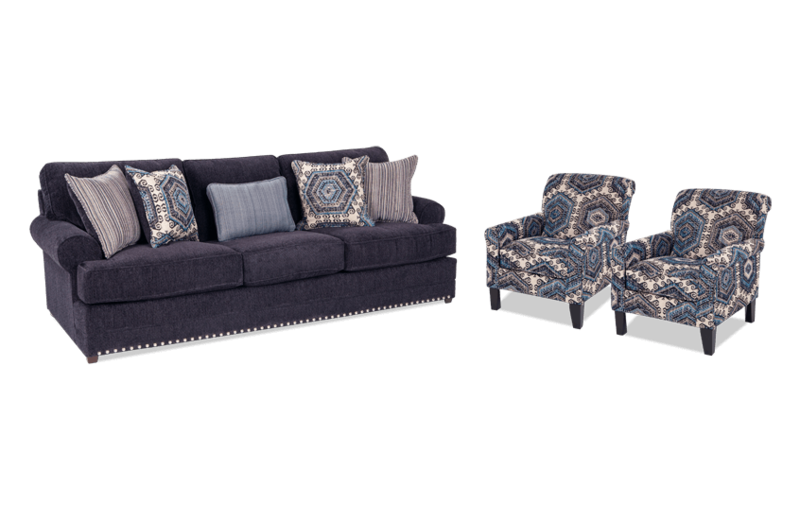 This lovely blue living room set doesn't skimp on the details with its welted roll arms, nailhead trim, and comfy Bob-O-Pedic Memory Foam seating. 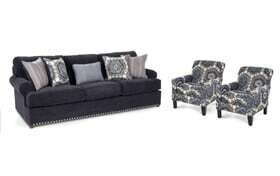 Furthermore, the deep cushions of the sofa are reversible, and there's the fashionable accent fabric of the chairs!